Porgs. You haven’t even seen them in a movie yet but you probably already have a strong opinion on them. Such is the nature of fandom these days—especially in Star Wars, where there’s certainly some negative precedent of cute characters impacting the movies. Star Wars: The Last Jedi writer-director Rian Johnson knows all that. And he sympathizes, but also stands behind his adorable creations. 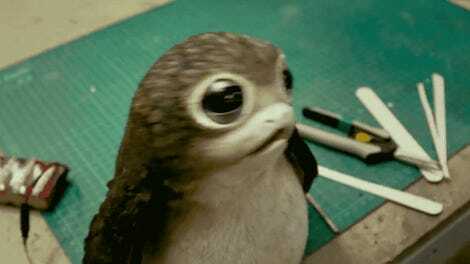 In a new interview, Johnson explained where porgs came from, the crew’s reaction to them, and hinted at their role in the film. The porgs of The Last Jedi live on Ahch-To, the site of the first Jedi Temple where Rey meets Luke Skywalker. And they were inspired by the filming location’s actual wildlife. Those scenes were shot on the Irish island of Skellig Michael, which has puffins. So Johnson though he’d like to pay tribute to that. That’s as much as Johnson was willing to say about the porgs’ role in the story and his choice of words is telling. “Not that they play a big part in the story.” That’s a genius way of suggesting they don’t play a big part in the story, but not lying if they actually do play a big part in the story. He also says they’re funny which, of course. 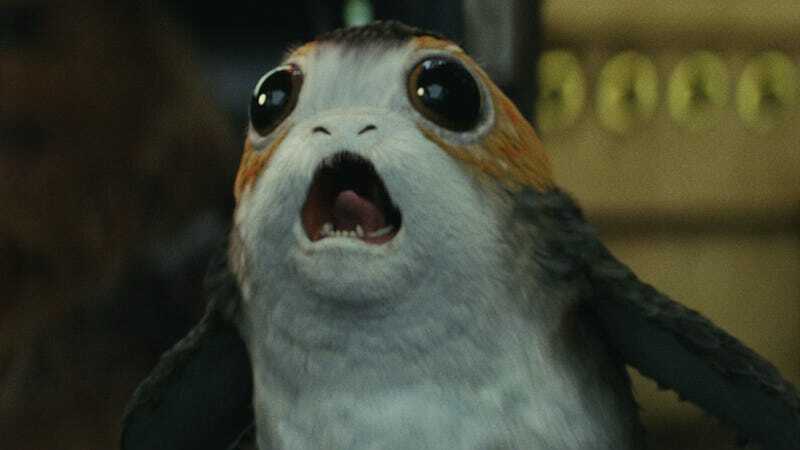 Next, Johnson suggested he hadn’t even considered any potential backlash or Ewok/Jar Jar comparisons until the actual porgs, which are achieved both through CGI and practical effects, made it to the set. And they already have their place in pop culture, that’s for sure. We’ll find out exactly what the deal is with porgs on December 15, when Star Wars: The Last Jedi hits theaters.